The coconut industry is still in a quandary. Last year, in an open letter address to President Rodrigo, coconut farmers asked the government for help in addressing the problems that beset the coconut industry. 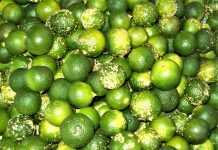 They cited that from a high price of P50 per kilo years back, the buying price of copra plummeted to as low as P14 per kilo. Almost all coconut farmers throughout the country complained that while copra price declined significantly, the selling price of coconut cooking oil in the market continues to intensify. “The coconut farmers are greatly resentment due to the collapse of the price of copra and they believe that the Department of Agriculture kept them,” said Agriculture Secretary Emmanuel Piñol in an open letter. For the uninformed, the downfall of copra price in the world market started in 2017 yet, he clarified. The government has nothing to do with the collapse of the price in the world market, he argued. At the time it happened, the Philippine Coconut Authority (PCA) – the agency responsible for developing the coconut and other palm oil industry to its full potential – was not under his supervision yet. PCA was moved under the agriculture department only on September 2018. In June 2018, even if the PCA was not under DA yet, it made some recommendations. For one, it proposed to be included in the State of the Nation’s Address the order to have the coconut oil content of biodiesel from 2% to 5% to reduce the oversupply of copra in the local market. “We were not successful,” Piñol lamented. 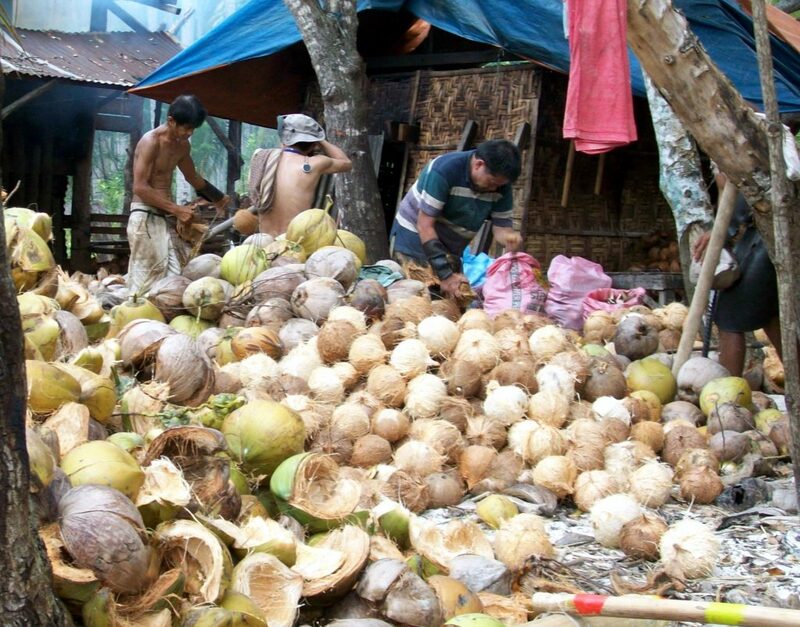 · Support price of P30 per kilo for copra to be bought by government-owned Coconut Oil Mills. 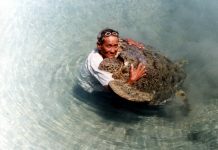 The price suggested was too much for only P20 per kilo the agency could afford as it doesn’t have a substantial subsidy from the government. 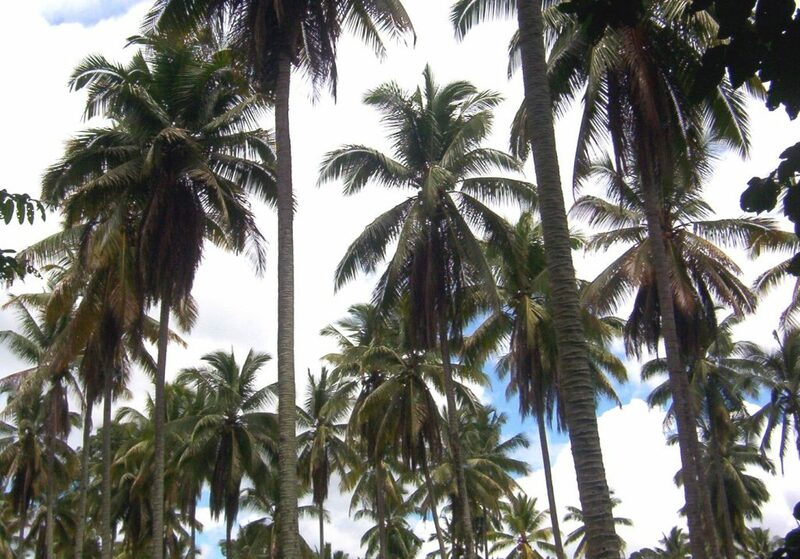 · Increase from 2% to 5% of the coconut oil in biodiesel. This suggestion was disputed by the oil industry. 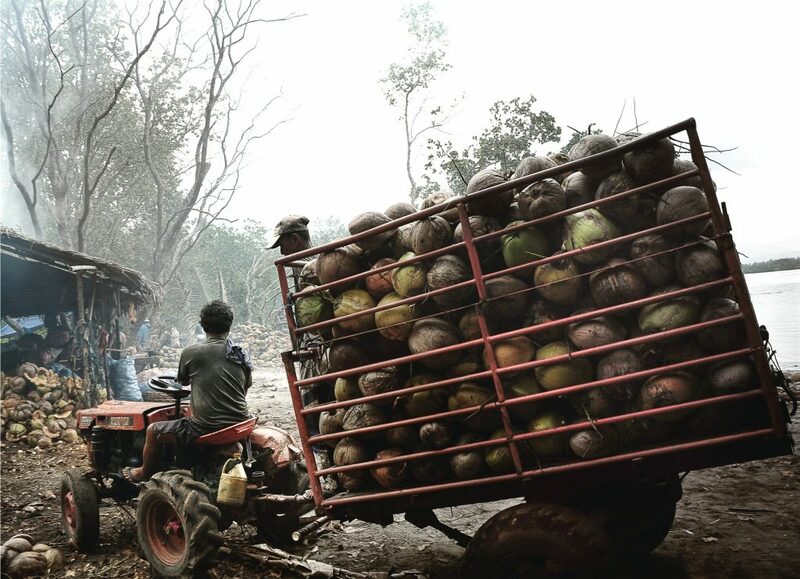 · Impose a an or reduction of palm oil, which has been affected by copra prices. The ban of the importation of a product, however, is not covered by agriculture department. Instead, it recommended to the economic cluster to decide upon. Piñol lamented that his department can “do little” for the copra prices except to come up with temporary programs like promoting the consumption of buko juice and promoting coconut oil in Eastern Europe. Jason John Joyce, a mayoral candidate in Jose Abad Santos, supported the idea of Piñol in the promotion of buko juice among Filipinos. “Since it may take time before the problem of copra price in the market, my immediate solution to the problem is selling buko juice instead of soft drinks,” he said. Aside from helping poor farmers, drinking coconut water is a good thing, health-wise. One American health magazine hails coco water as “America’s healthiest beverage” for providing enhanced hydration, essential nutrition and all five essential electrolytes (calcium, potassium, magnesium, phosphorus, and sodium). Consider this: When compared with a popular sports drink per 100 milligrams, coco water has more potassium (294 milligrams versus 11.7 milligrams), less sodium (25 mg vs. 41 mg), more chloride (118 mg vs 39 mg), more magnesium (10 mg vs 7 mg), and less sugar (5 mg vs. 6 mg). The physician employed what he called as direct “bukolysis.” The report explained: “For the past year, Dr. Macalalag has been using coconut water from 6- to 10-month-old nuts in dissolving kidney stones in his patients by directly infusing the water into the kidneys. In addition, the doctor also did extensive research on bukolysis and discovered oral bukolysis using fresh buko water, buko nectar concentrate, or buko nectar concentrate powder in dissolving all kinds of kidney stones. 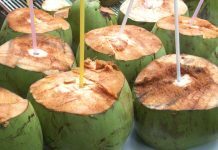 Dr. Macalalag, the report said, recommended also the drinking of coco water from three fresh coconuts daily to prevent renal disorders. Another product from coconut that has potential not only locally but internationally is coconut oil. The oil, however, is more potent when it’s virgin – that is, extracted through pressing without the use of heat. Thanks to the pioneering work of the late Dr. Julian Banzon and his protégé, Dr. Teresita Espino, the chemistry of virgin coconut oil (VCO) has been known and its beneficial effects on the human body have been confirmed. Last year, during the First World Coconut Congress, a neonatologist pointed out that VCO can be used as adjuvant treatment for cancer. “Clinical trials on the use of VCO in ketogenic diet as supportive treatment for cancer has been shown to be highly promising under a clinical trial at the Paracelsus Medical University (PMU) in Salzburg, Austria,” said a press released circulated by the Growth Publishing. The home-produced VCO is a recognized source of beneficial fatty acid metabolized in the liver as ketones in ketogenic diets. In the PMU clinical trial, the target is for ketogenic diet to achieve the so-called “Warburg effect,” where cancer cells are prevented from using glycolysis in order to produce the organic chemical ATP (Adenosine triphosphate) needed in the multiplication of cancer cells. “Based on the results of rigorous preclinical and clinical studies performed thus far, the ketogenic diet would appear to be a promising and powerful option for adjuvant therapy for a range of cancers,” the PMU study said. It was Dr. Mary Newport, who cited the PMU study in her presentation during the coconut congress. “It’s now being (used) for cancer because cancer cells like sugar. Some cancer cells use 200 times more sugar than the normal cell. They ferment sugar, the mitochondria ferments sugar. They don’t metabolize it normally. But most cancer cells don’t use ketones effectively as fuel,” she said. The PMU clinical trial reported anti-tumor effect of ketogenic diet in 10 types of cancer. These are: glioblastoma, astrocytoma, medulloblastoma, prostate cancer, colon cancer, neuroblastoma, pancreatic cancer, lung cancer, breast cancer, stomach cancer, and liver cancer. Meanwhile, Piñol is also launching a “construed program” for the associations of farmers so they can buy the copra of their members and a capital to buy their own trucks. “All of these (solutions) are temporary, because the problem of coconut industry is deep,” he said, adding that the industry has to change its thinking of relying on copra as the primary market. The Philippines is the world’s second largest producer of coconut products – after Indonesia. It is also the top exporter of coconut products (about 64% of the world’s copra and coconut oil comes from the Philippines). 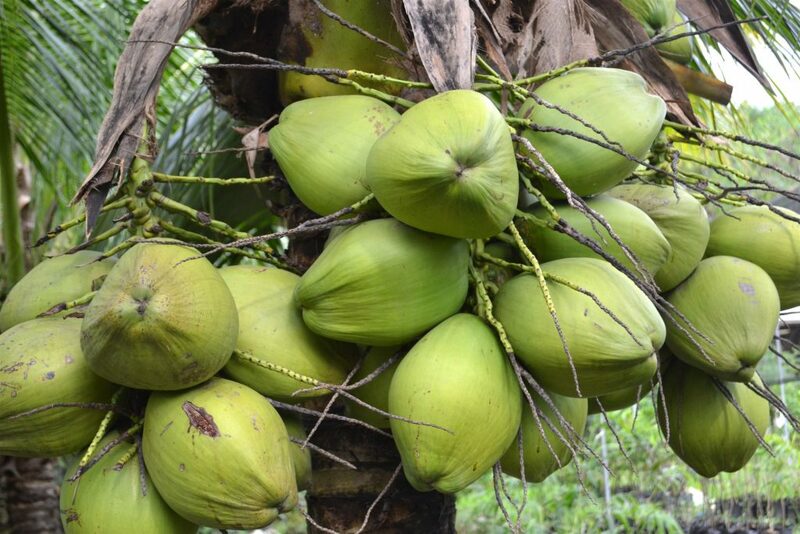 About 25% of cultivated land is planted to coconut trees and it is estimated that between 25% and 33% of the population is partly dependent on coconuts for their livelihood, according to PCA. In 2018, the top coconut-producing region was Davao with contribution of 14.2%, the Philippine Statistics Authority reported. This was followed by Zamboanga Peninsula (12.8%), Northern Mindanao (12.7%) and CALABARZON (10.2%).